Shopify is an E-commerce platform that allows you to easily sell products or services online, at a retail location, and everywhere in between. With Shopify’s E-commerce platform, you’ll get one unified platform to run your business online with ease.Shopify supports debit cards, credit cards, cash on delivery, wallets and UPI. 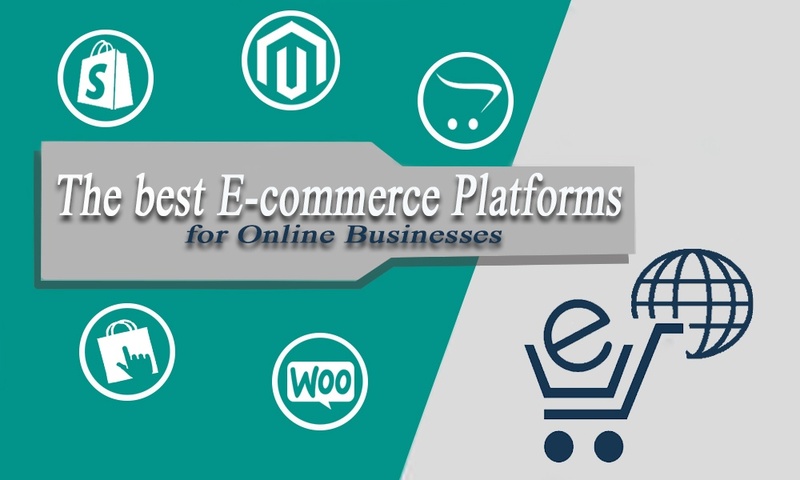 Magento is one of the most popular open source E-commerce platform which provides online merchants with a flexible shopping cart system, as well as control over the look, content and functionality of your online business. You can send out product alerts to customers for automated marketing. The platform lets you make separate multi-lingual sites that load up depending on the user’s location. Track sales and growth trends of your online store. You can customize the user interface however you want. PrestaShop is an efficient and innovative e-commerce solution with all the features you need to create an online store and grow your online business.It is written in the PHP programming language with support for the MySQL database management system. PrestaShop is currently used by 250K shops worldwide and is available in 60 different languages.Another thing to consider is that it doesn’t take too much experience to install the plugin. With Prestashop, you can effortlessly create online promotions. PrestaShop provides a beautiful interface for establishing different websites for multiple languages and currencies. The best FREE and open-source eCommerce platform.Compared to other open source platforms, OpenCart is actually pretty easy to use and lightweight.OpenCart powers over 342K E-Commerce Entrepreneurs all over the world. The world’s most renowned payment gateways and shipping methods integrated for you. OpenCart allows you to set up your own back-ups and restorations. OpenCart offers free community or dedicated commercial support. WooCommerce is an open source e-commerce plugin for WordPress. It is designed for small to large-sized online merchants using WordPress. WooCommerce turns any WordPress website into a fully functional online store, with inventory management, coupons, and product pages. The plugin is free to download and install. It connects to all major payment gateways.